The highlight of the week here on the island is Lobster Night. Our signature dinner is eagerly anticipated and greatly enjoyed week after week, year after year. Occasionally, we are left with extra lobster at the end of the night. 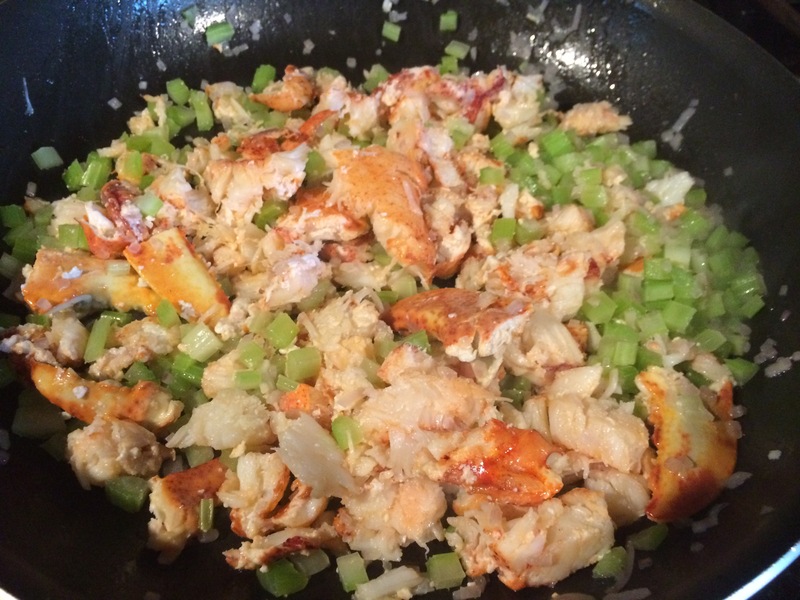 Finding new and interesting dishes to make with lobster is one of my great joys in life. 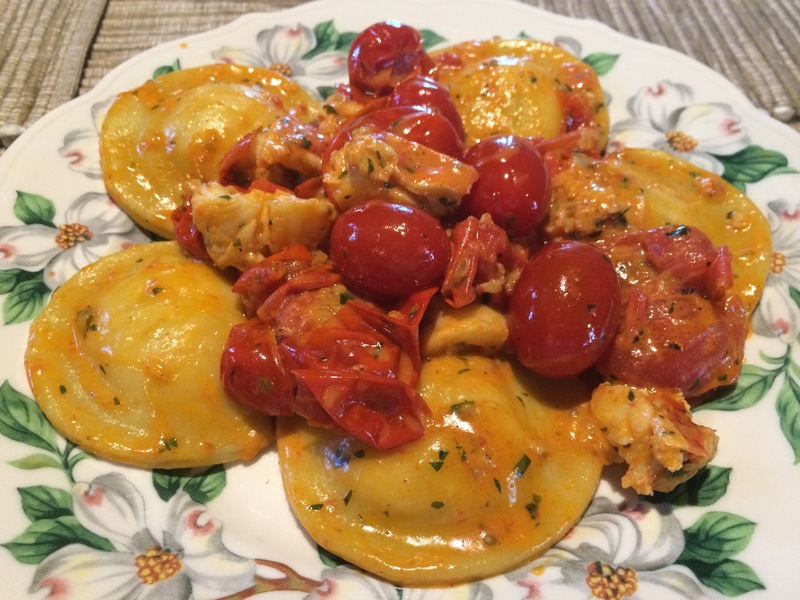 This week I made Lobster Ravioli with Blistered Tomatoes and Sherry Cream. It turned out even better than I hoped and I am excited to share my recipe with you! 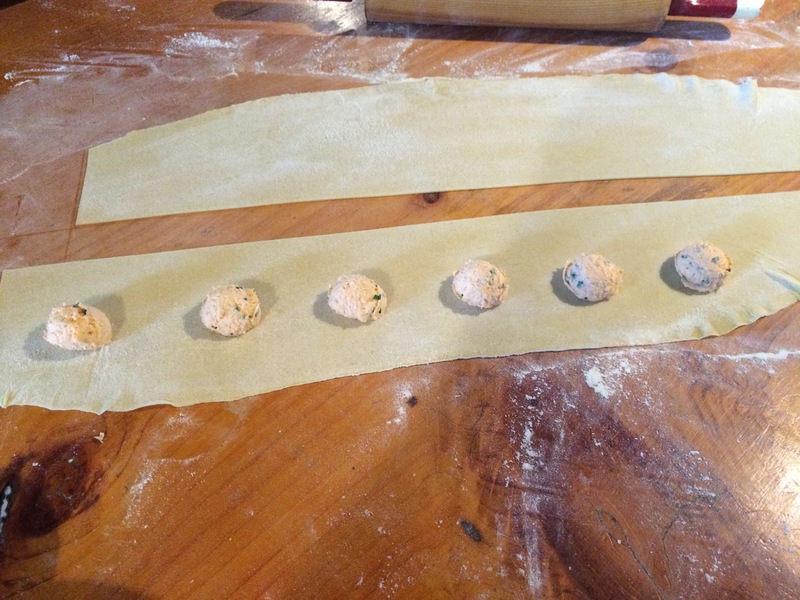 Make the pasta dough, wrap in plastic and chill in the refrigerator at least one hour and up to one day. 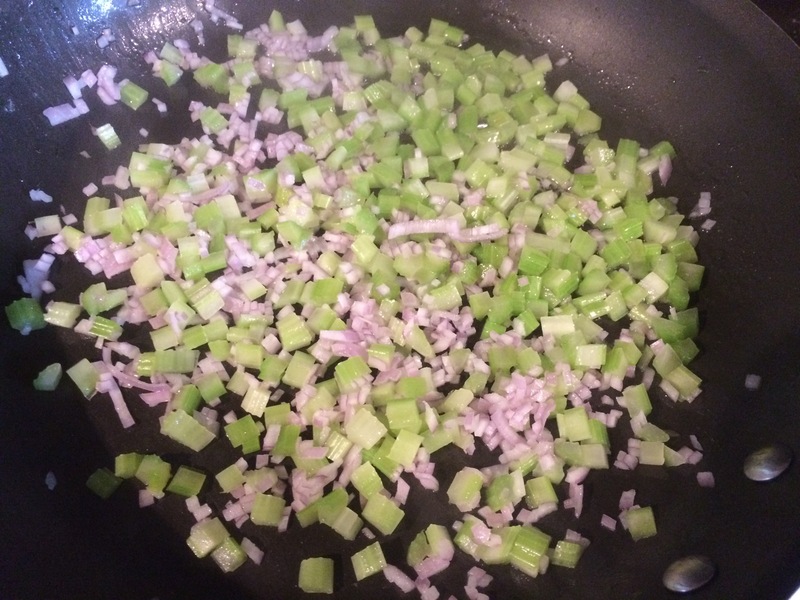 While the dough is chilling, heat a large sauté pan and add vegetable oil, celery and shallot. Cook over medium heat 3-4 minutes. Add the white wine and reduce by half. Add the lobster and remove from heat. Transfer the contents of the pan into a food processor and pulse until chopped finely. Transfer mixture into a bowl and set aside. 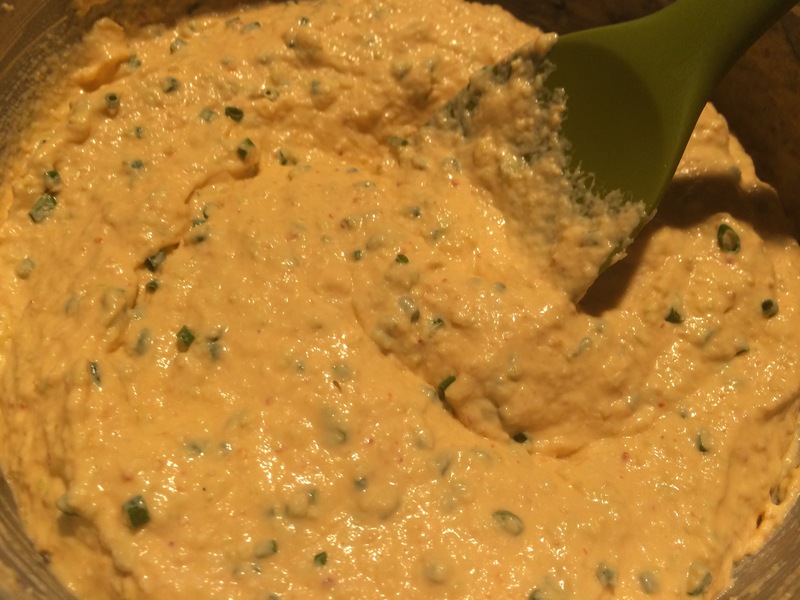 Add cream cheese, butter, lemon zest, lemon juice, salt and cayenne pepper to the food processor and process until smooth. 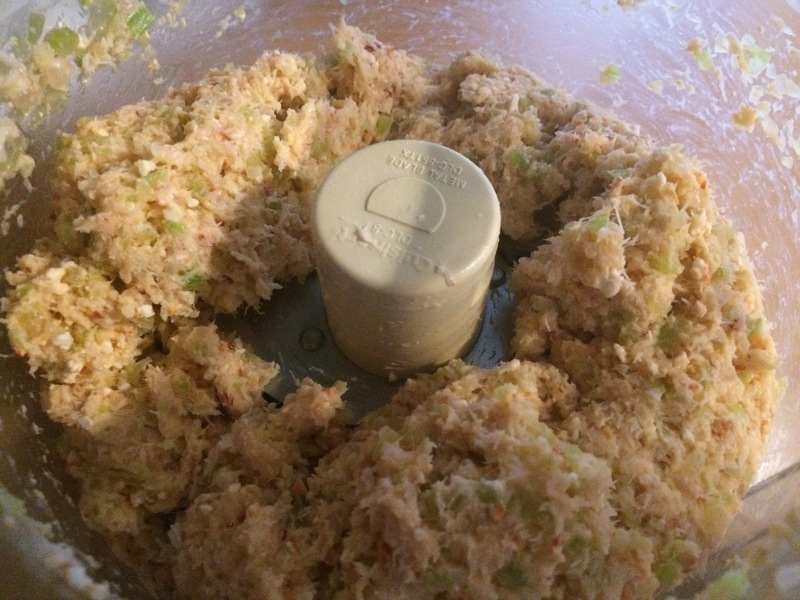 Return lobster mixture to the food processor and process until smooth. Transfer to a bowl and stir in the chives. Chill in the refrigerator at least one hour and up to two days. 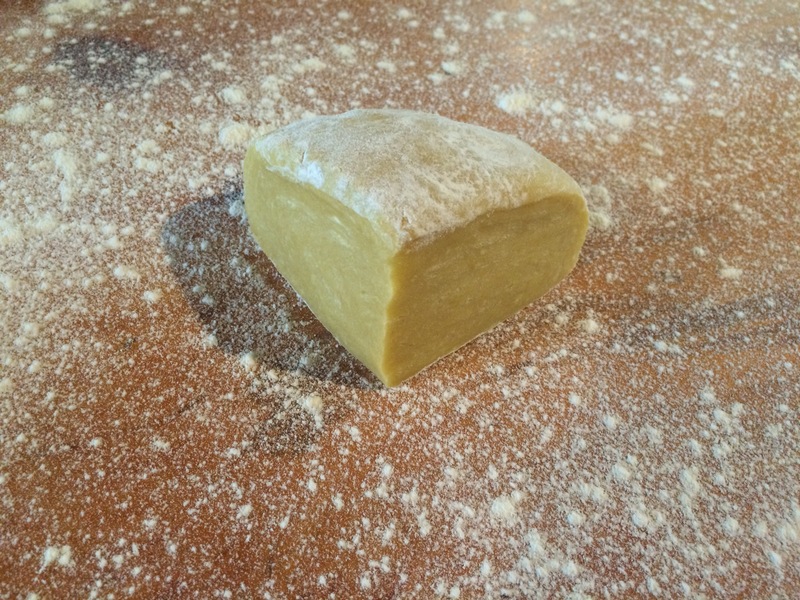 Remove the chilled dough from the refrigerator, unwrap it and place it on a floured cutting board. 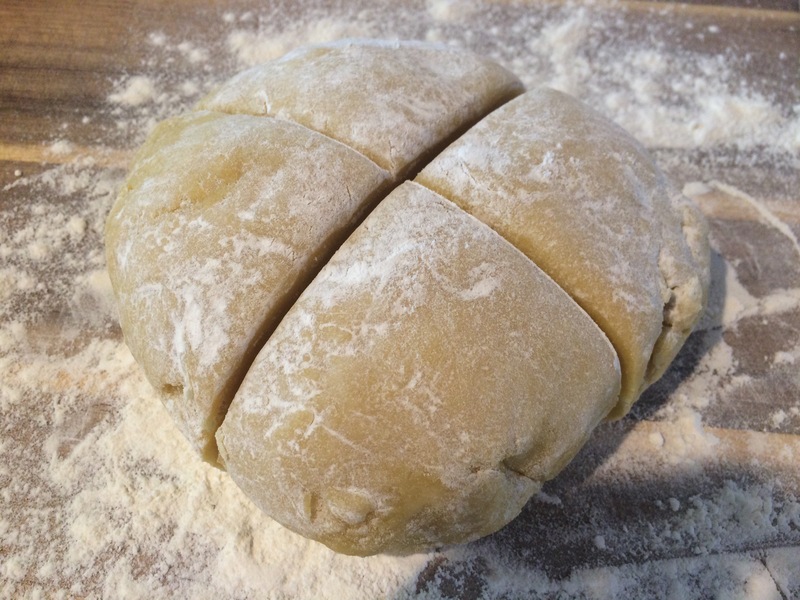 Dust the dough with flour and cut it into four equal pieces. Remove one piece and cover the remainder of the dough with a clean, dry kitchen towel to keep it from drying out. Dust a countertop with flour and place the dough in the center. Press the dough down with the palm of your hand and roll it out into a long oval until it is as thin as you can make it. 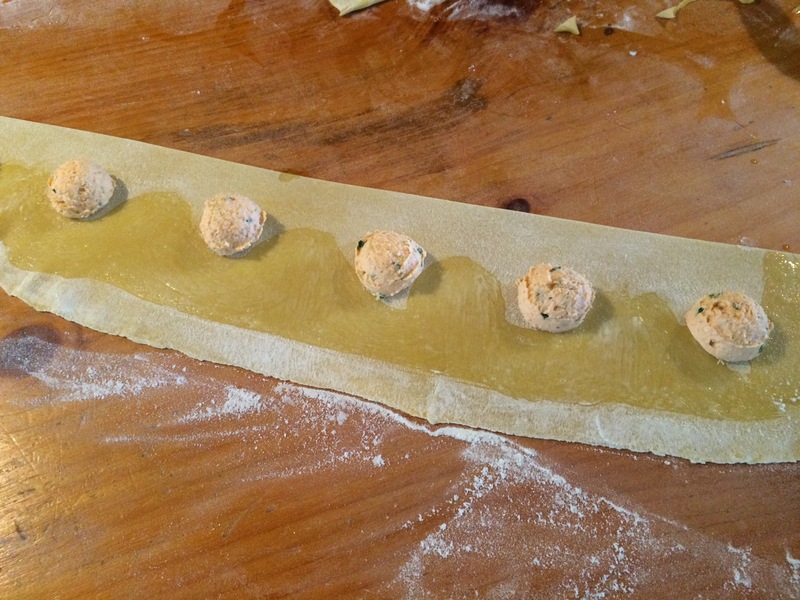 If you have a pasta roller, use it instead but cut dough into eight pieces instead of four. Start at one and work up until you reach number six on the roller. I do not have one here on the island, so I just rolled it out with a rolling pin. After rolling, cut in half lengthwise and make two strips about 5 inches wide. 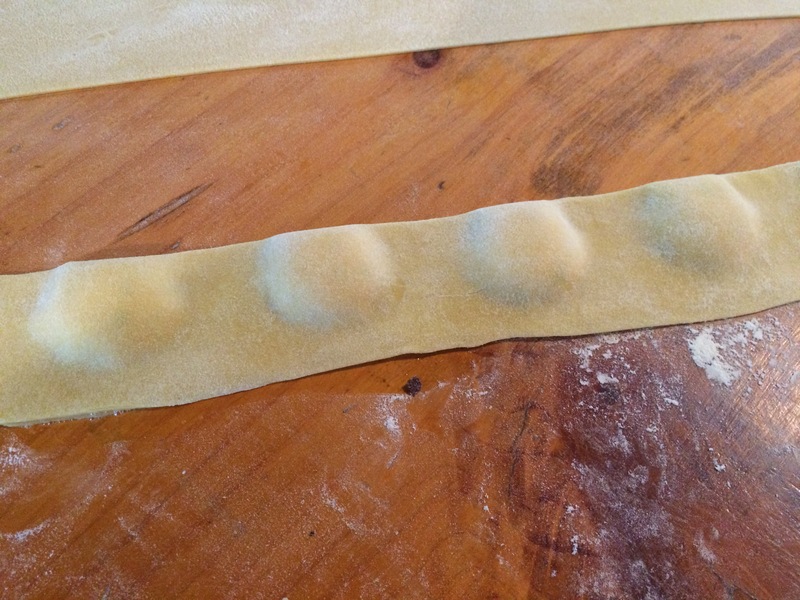 If using a pasta roller, you should have one long strip that is the perfect width. Using a 2 tsp disher or pastry bag fitted with a round tip, place the filling along the center of the dough at 3 inch intervals. 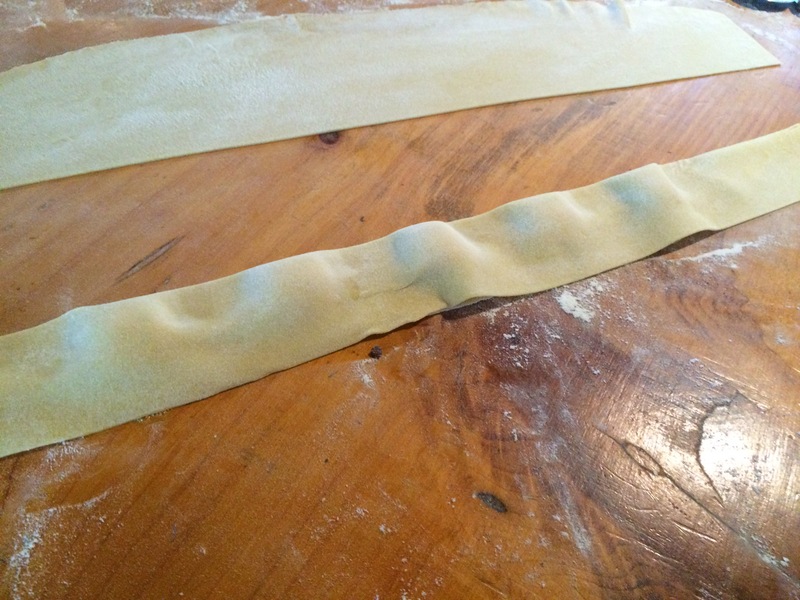 Brush the dough with egg wash and fold it over, pressing between the filling with your fingers to make a seal. 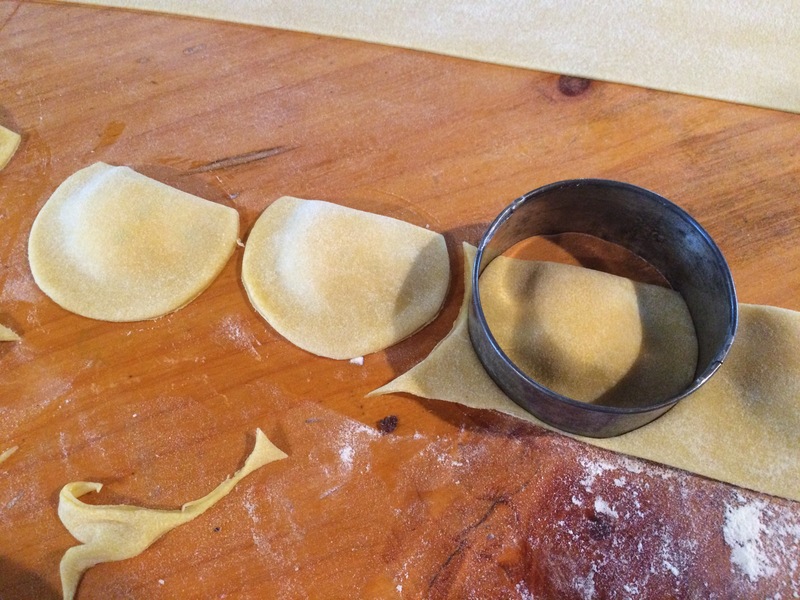 Working from the fold in the pasta toward the edge, press the pasta together around the filling. Try to work out as much air as possible and seal the filling inside completely. Using a round cutter, cut around each filling, leaving a border of about 1/2 inch. 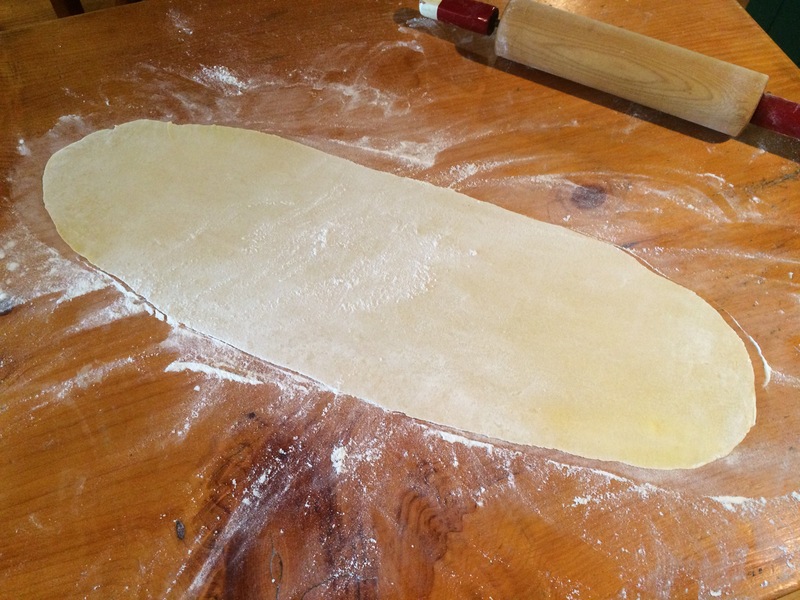 Transfer to a baking sheet that has been dusted with flour and repeat until you run out of pasta or filling. 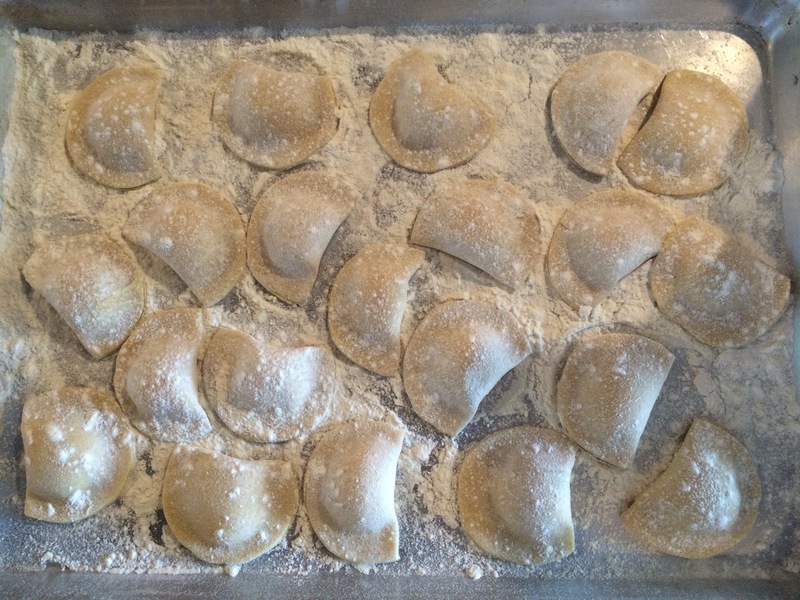 Ravioli may be cooked immediately or frozen until ready to use. 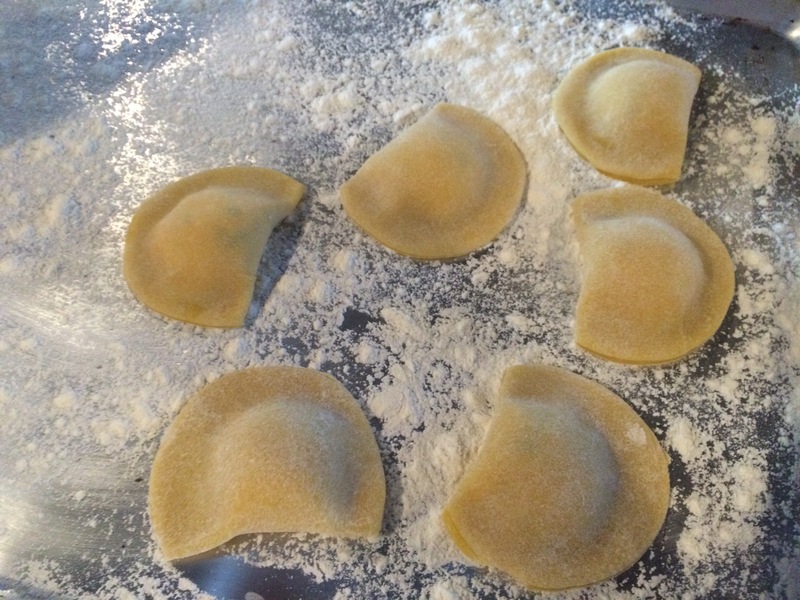 When ready to serve, bring a pot of salted water to a boil and cook ravioli for five minutes. Remove from boiling water and toss immediately in prepared sauce. Heat a large sauté pan over medium heat. Add the olive oil and the shallots and cook for one minute. 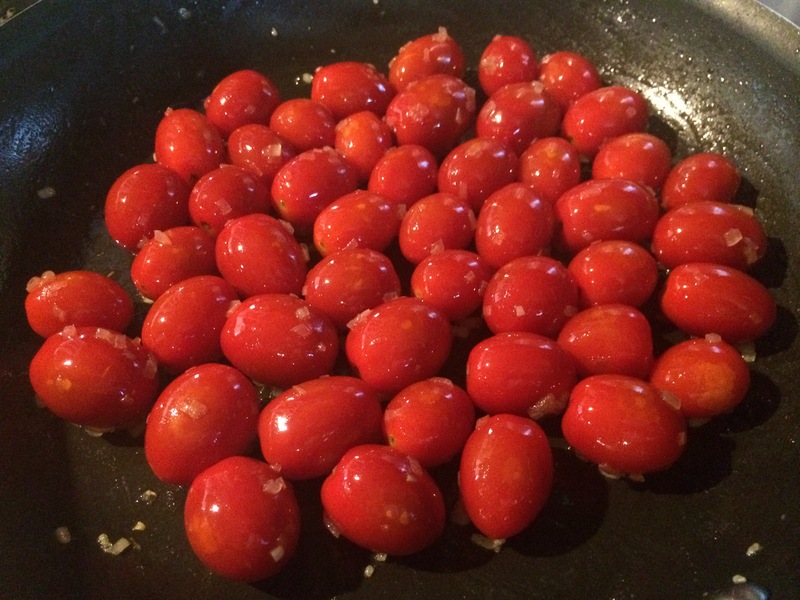 Increase the heat to high and add the tomatoes. Cook, stirring occasionally, until tomato skins start to blister. 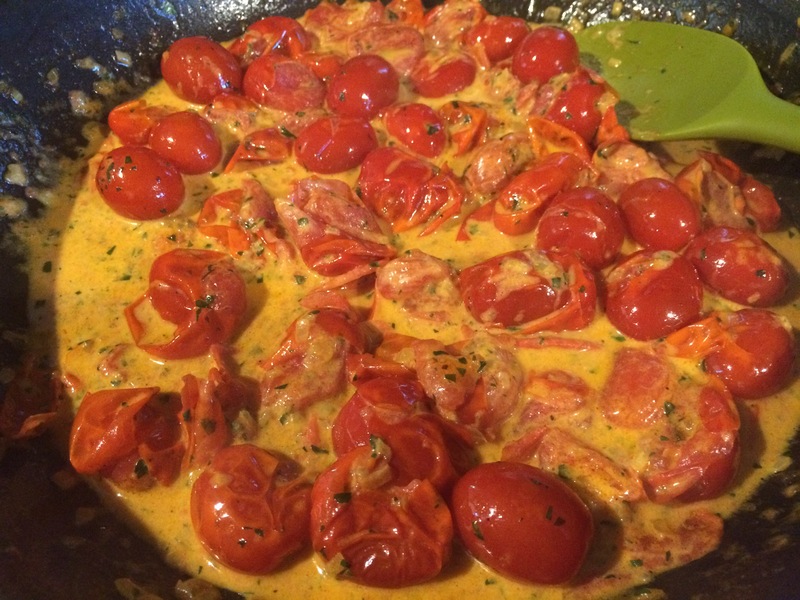 Using a potato masher or other blunt object, smash about half of the tomatoes. Reduce heat to medium and simmer for 2-3 minutes. Add Sherry, heavy cream, parsley, salt and pepper. Bring to a simmer and cook until sauce has slightly thickened, about five minutes. 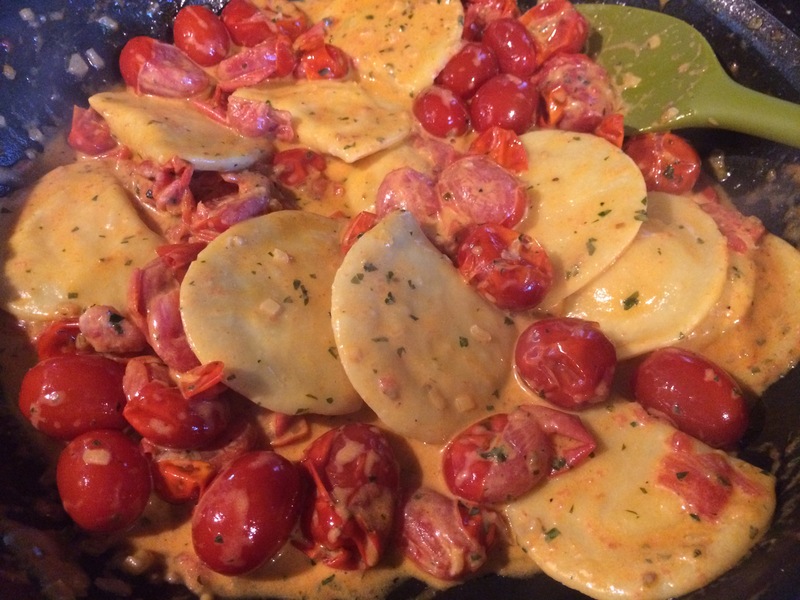 Add lobster meat if using and fresh pasta and toss in the sauce. Serve immediately.